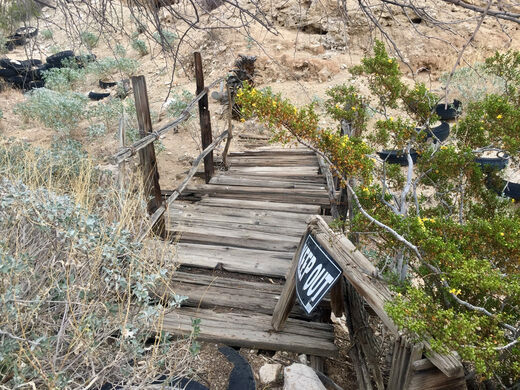 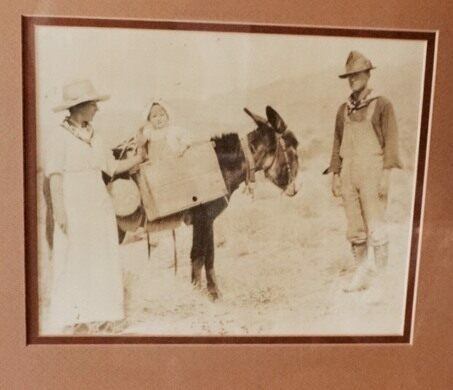 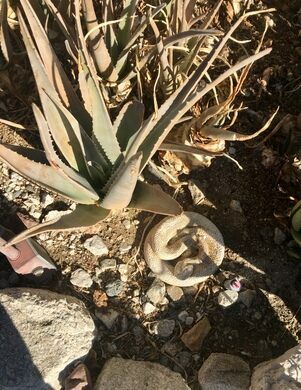 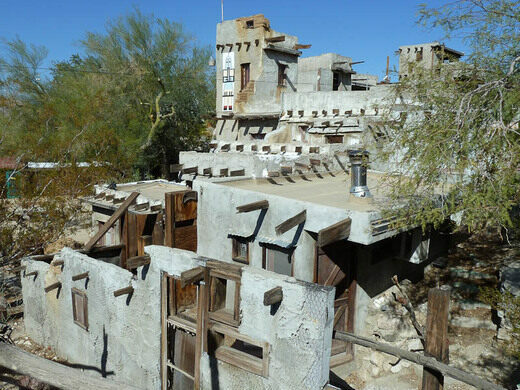 There’s a fascinating museum high up in the hills above Desert Hot Springs, California. 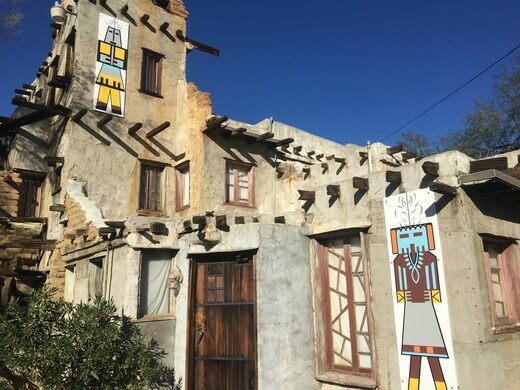 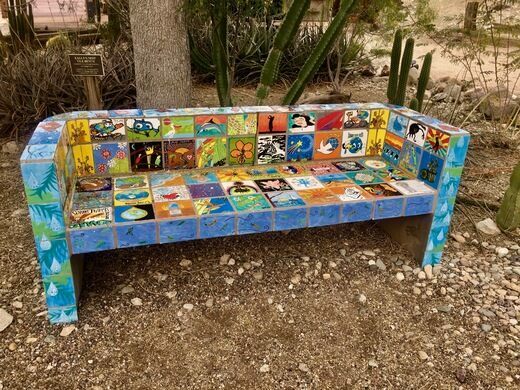 It centers around a Hopi-style pueblo and is full of artifacts from American Indian and Alaska Natives, as well as work by contemporary artists. 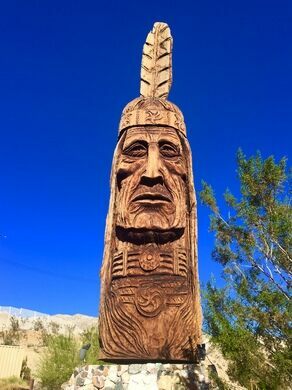 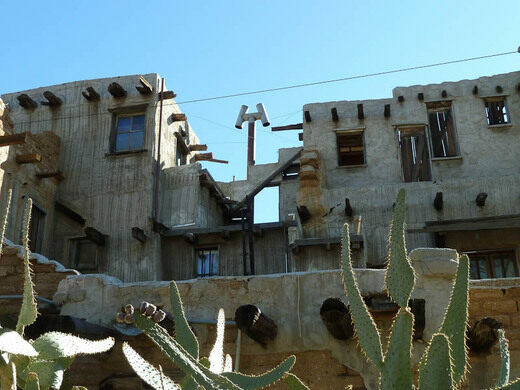 Cabot Yerxa, an explorer, activist, builder, Mason, and much more, built the American Indian-inspired structure from scrap materials he found in the surrounding desert. 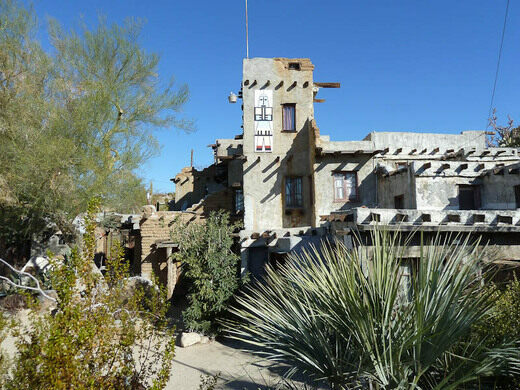 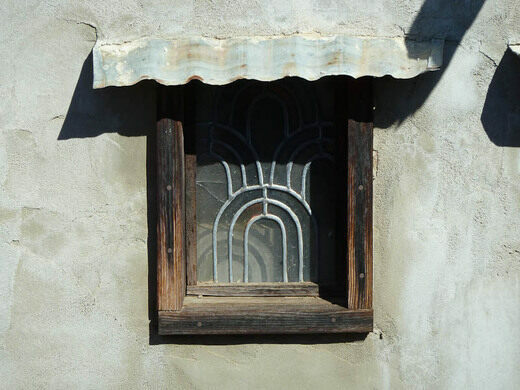 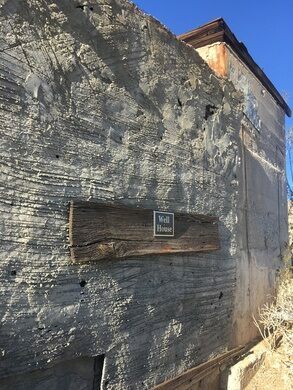 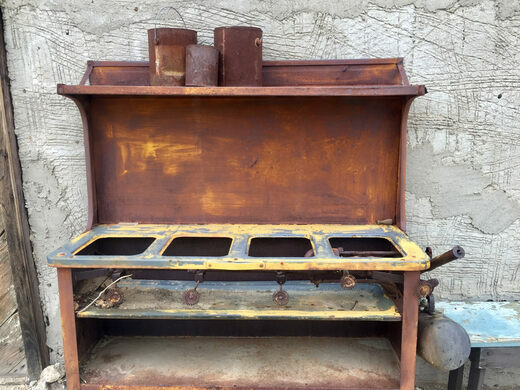 The entire pueblo is handmade, meticulously crafted from sun-dried bricks and wood leftover from abandoned cabins. 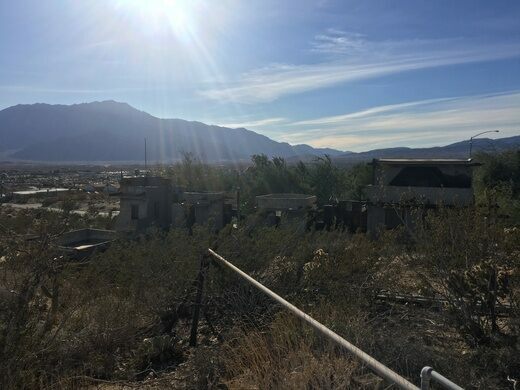 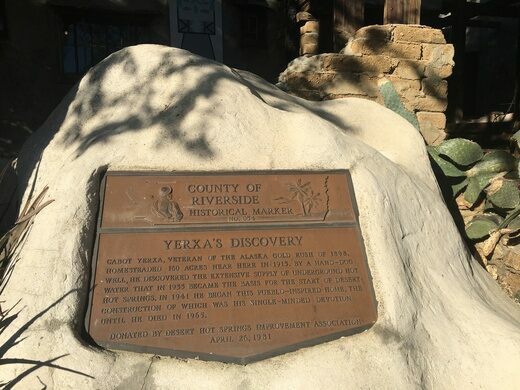 Before completing the museum, Yerxa was notable for having discovered the two hot springs that spew the now-famous mineral waters of Desert Hot Springs. 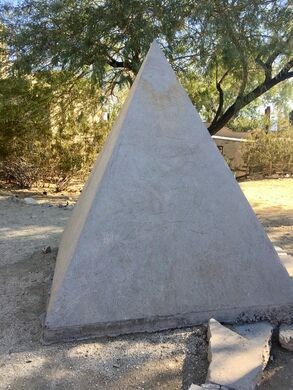 He was also the founder and president of the local Theosophical Society. 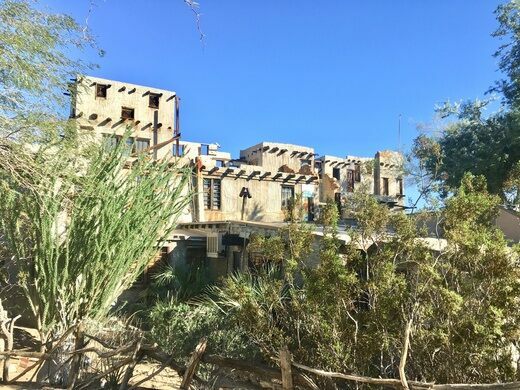 Yerxa began constructing the 4-floor, 35-room building in 1941 and worked on it up until his death in 1965. 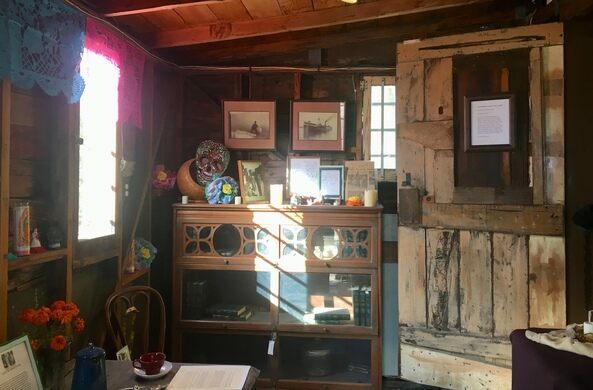 With a bit of initial help from a trusty mule named Merry Christmas, he labored for over two decades on the unusual abode. 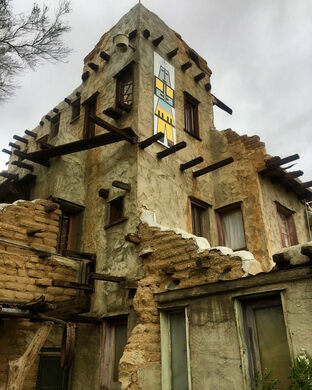 He designed the house to take advantage of natural ventilation to help keep it cool, and drew inspiration for its shape from a replica of a pueblo he saw at the Chicago World’s Fair as a child. 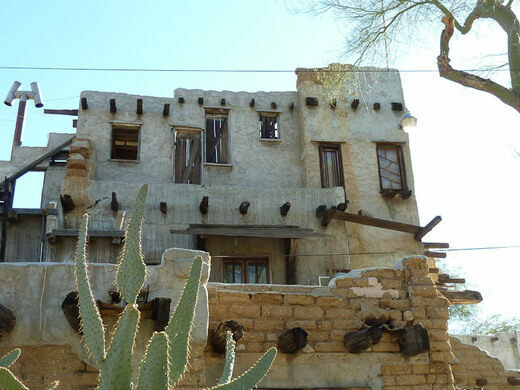 Though the building still wasn’t complete, Yerxa debuted “Cabot’s Old Indian Pueblo” in 1945. 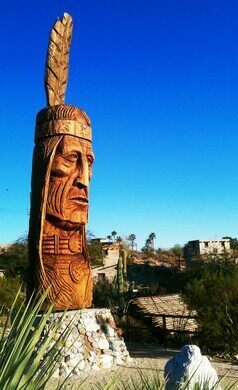 He dedicated the Hopi pueblo in honor of the area’s native tribes. 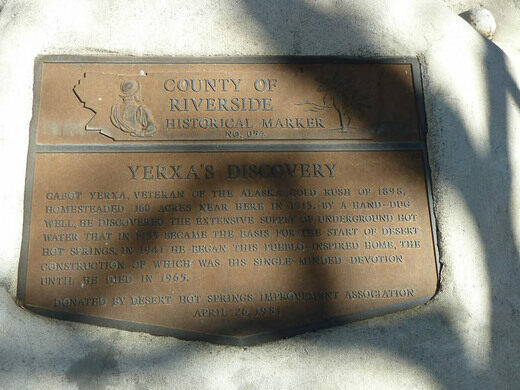 Yerxa and his wife ran the museum up until his death. 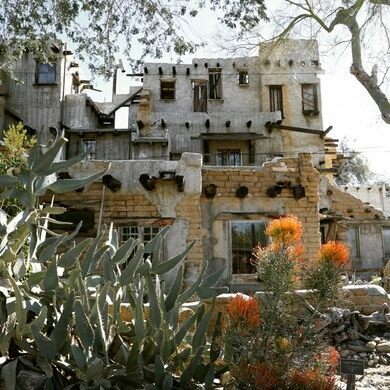 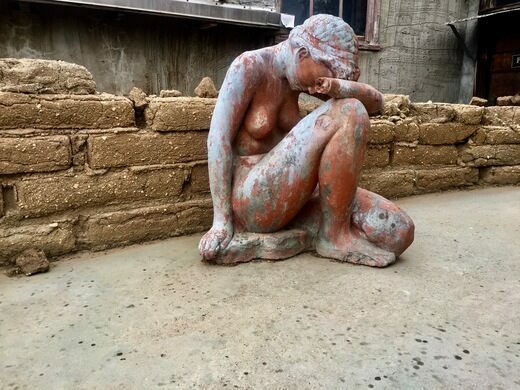 The estate was then briefly abandoned and vandalized, but it has since been restored after being donated to the city by one of Yerxas’ friends. 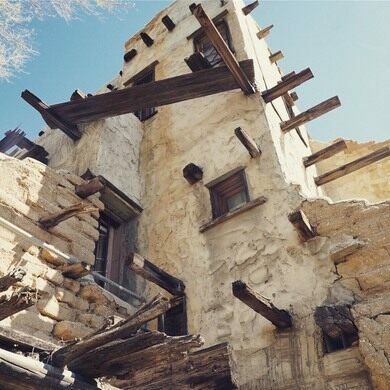 Now, Cabot’s Pueblo Museum exhibits artifacts and artwork, as well as content from Yerxa’s own life. 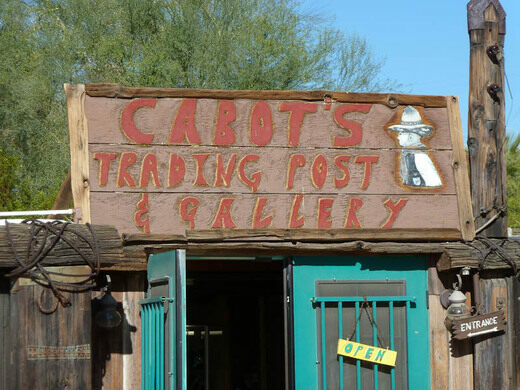 Cabot’s Trading Post & Gallery, located right near the main pueblo, sells work made by local artists. 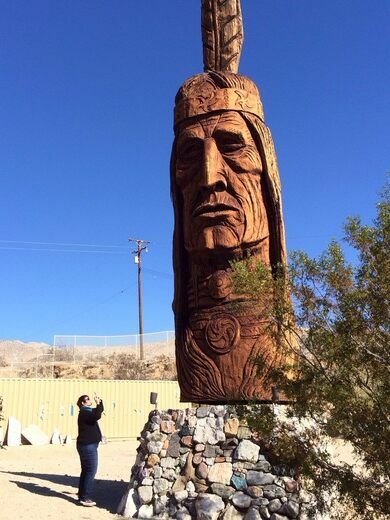 In May of 1978, the museum also gained Waokiye, a towering wooden sculpture named for the Lakota Sioux term for “traditional helper.” It was made from a 750-year-old felled Sequoia redwood tree and is one of 74 giant carved heads created by Hungarian sculptor Peter “Wolf” Toth. 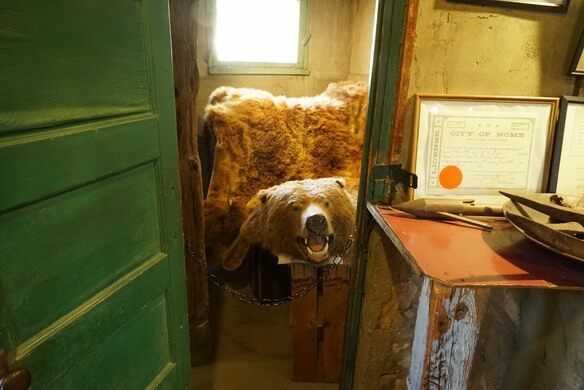 The museum offers guided tours. 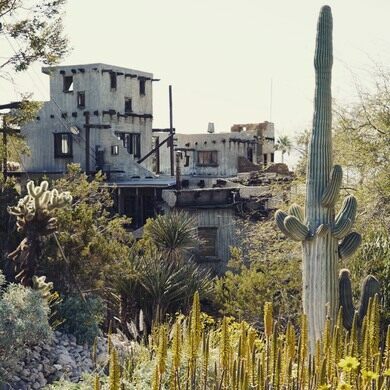 There’s so much to see that it requires multiple tours to cover all the amazing details.